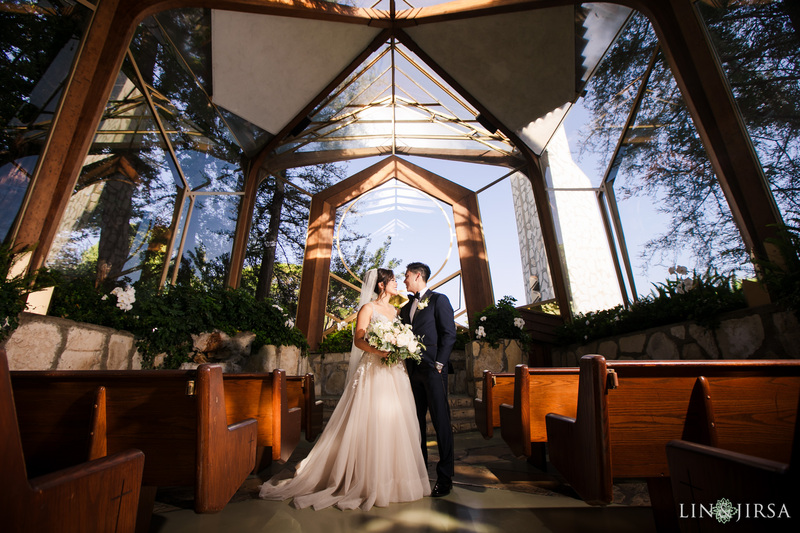 Nestled in the middle of towering redwood trees and meticulously landscaped gardens, the light sparkles from the glass roof of Wayfarer’s Chapel. 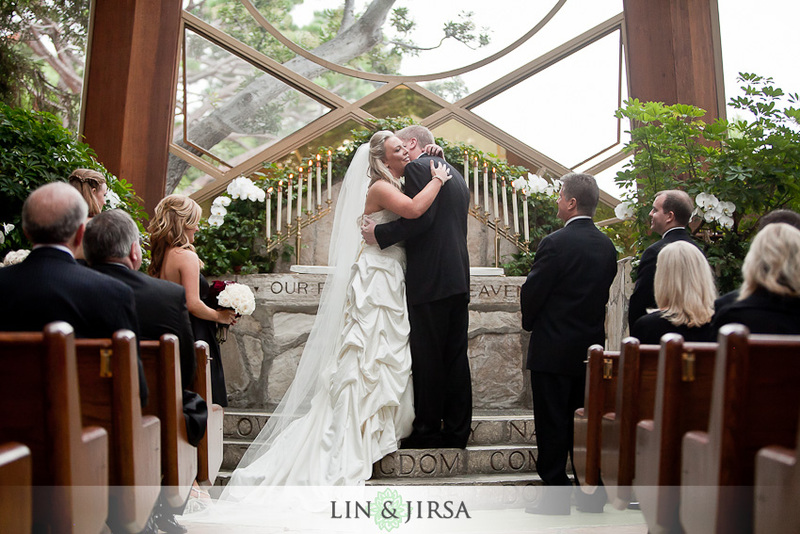 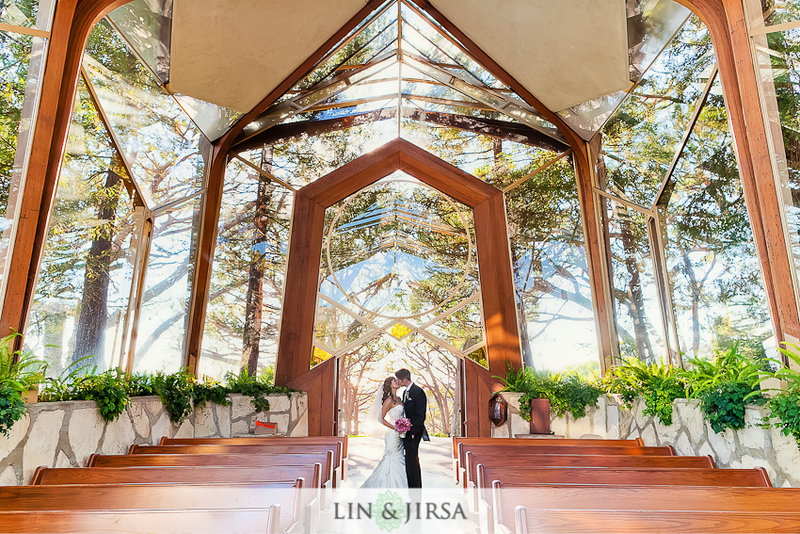 Designed by Lloyd Wright, son of the famed architect Frank Lloyd Wright, the breathtaking glass chapel sits atop a high bluff with stunning views of the Pacific Ocean on the Palos Verdes peninsula. 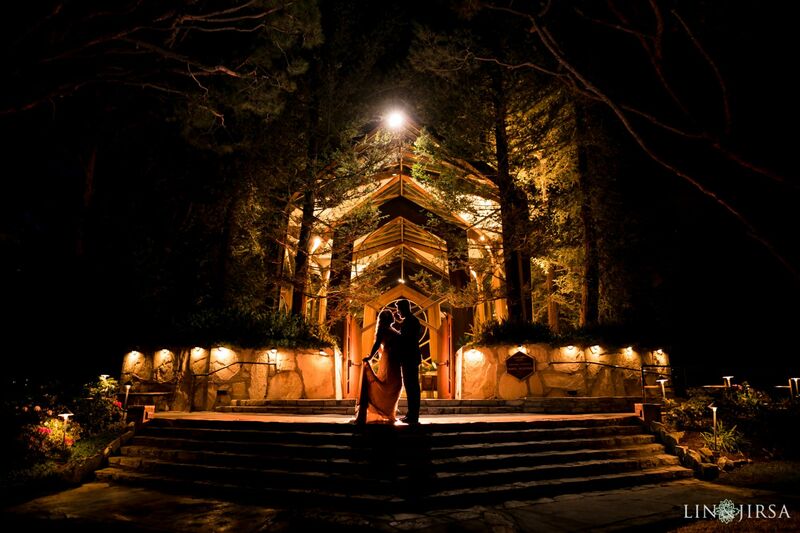 You’ll feel worlds away from the hustle and bustle of the city as you drive up the hill and into a forest sanctuary. 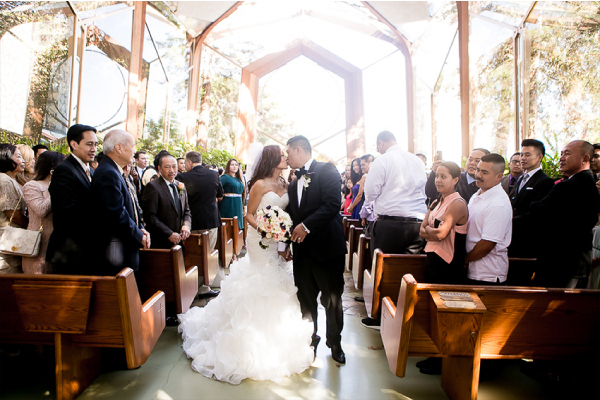 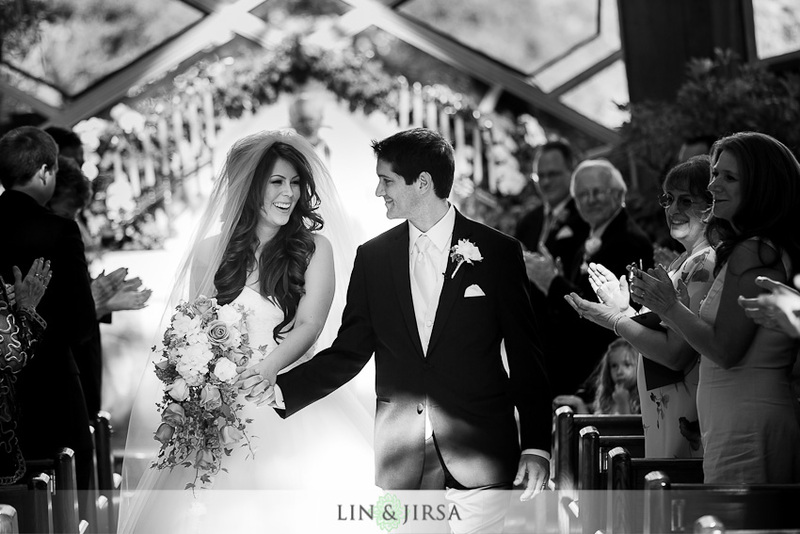 Located on 3.5 acres of lush green lawns, Wayfarers Chapel is a picture perfect site with its elegant glass structure as the centerpiece of this gorgeous venue. 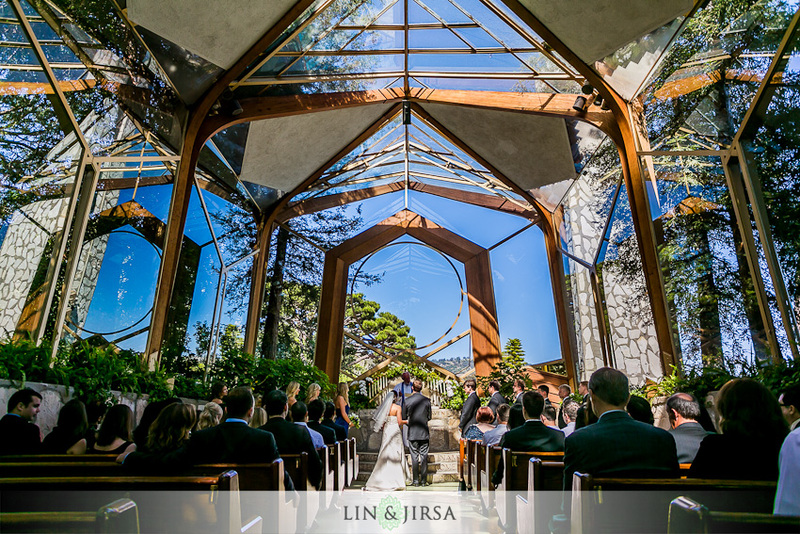 Walled in glass and supported by aged redwood timbers, the building blends in seamlessly with its natural environment. 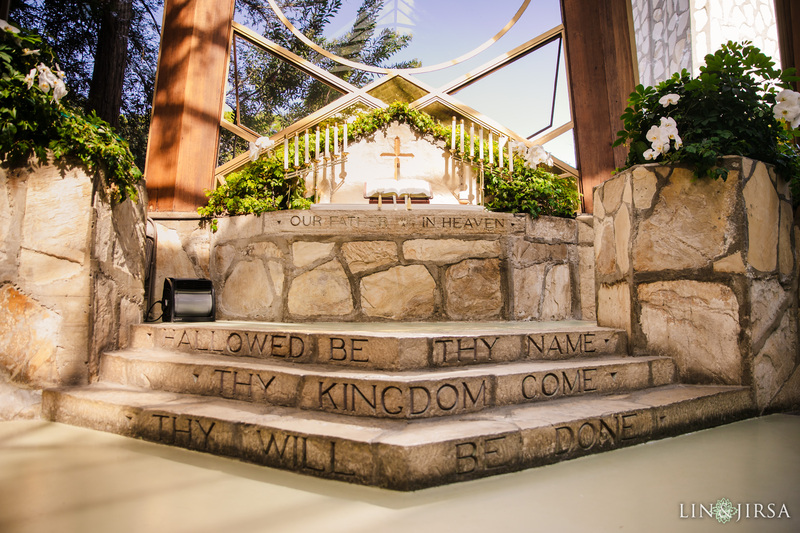 The sun glistens into the chapel onto the stone waterfall at the altar of which the Lord’s Prayer is etched. 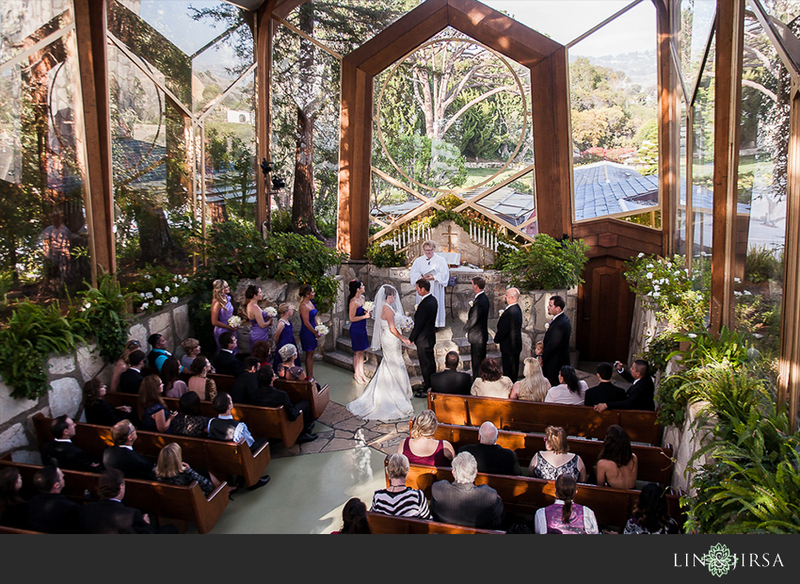 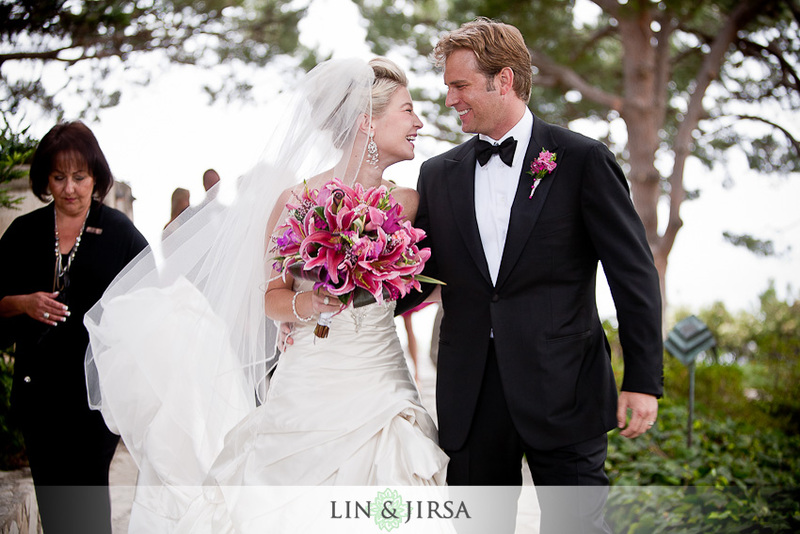 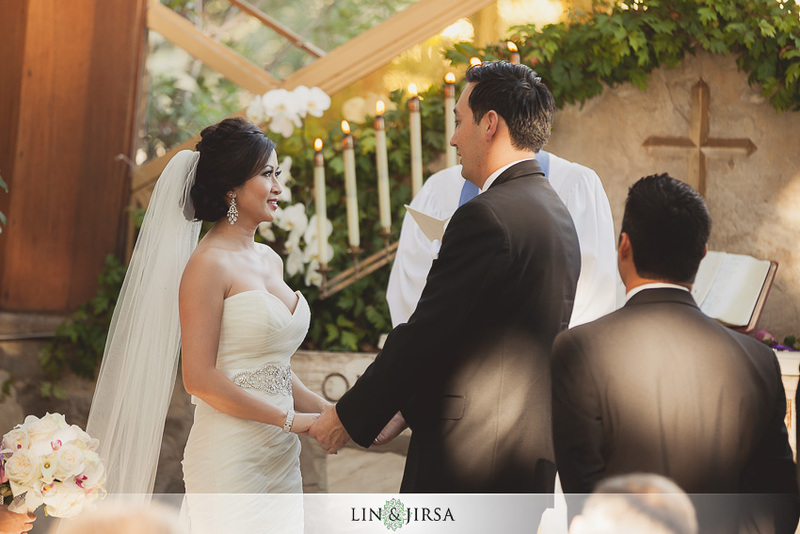 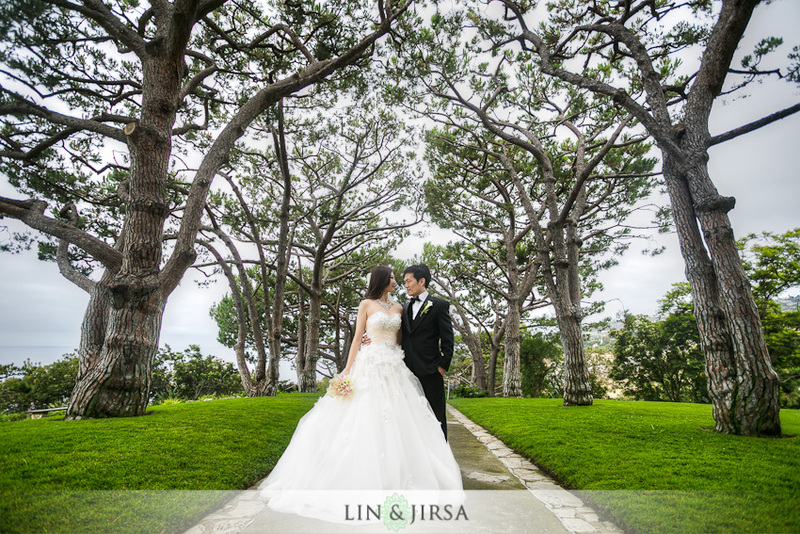 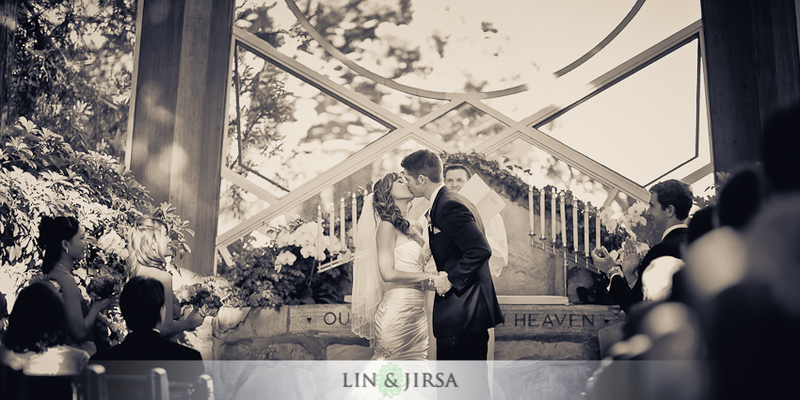 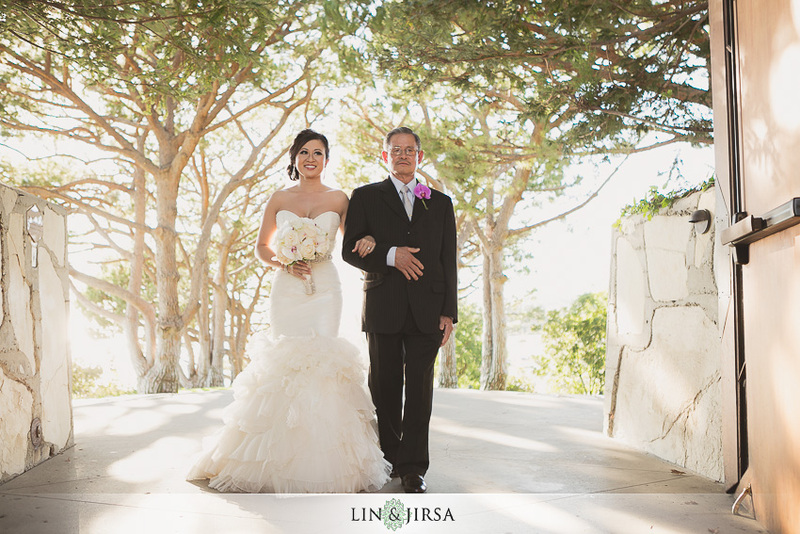 Both serene and spectacular, the views from the chapel and its grounds is nothing short of incredible. 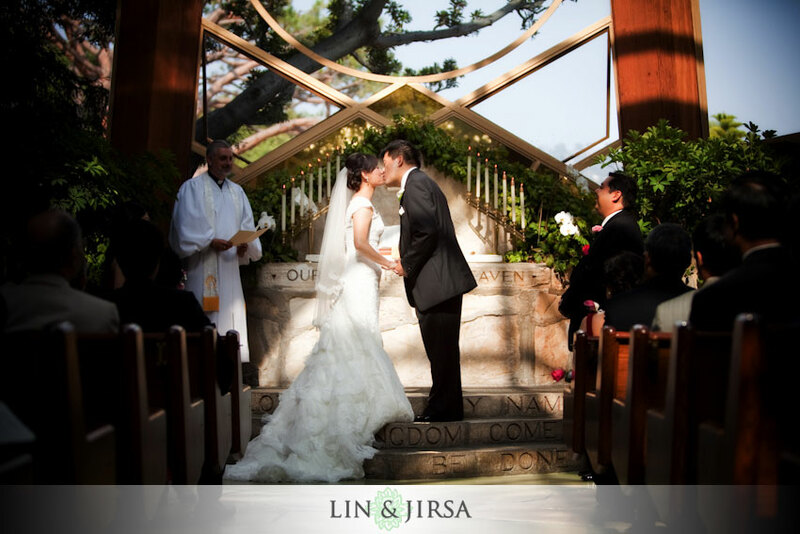 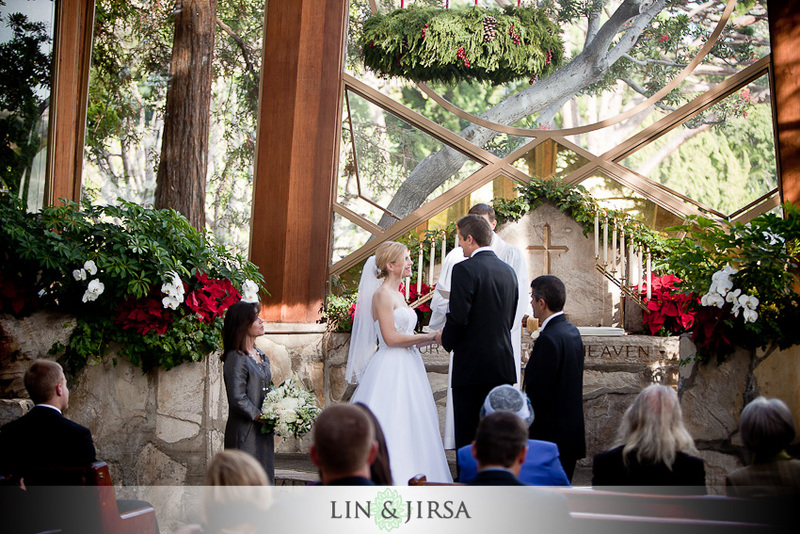 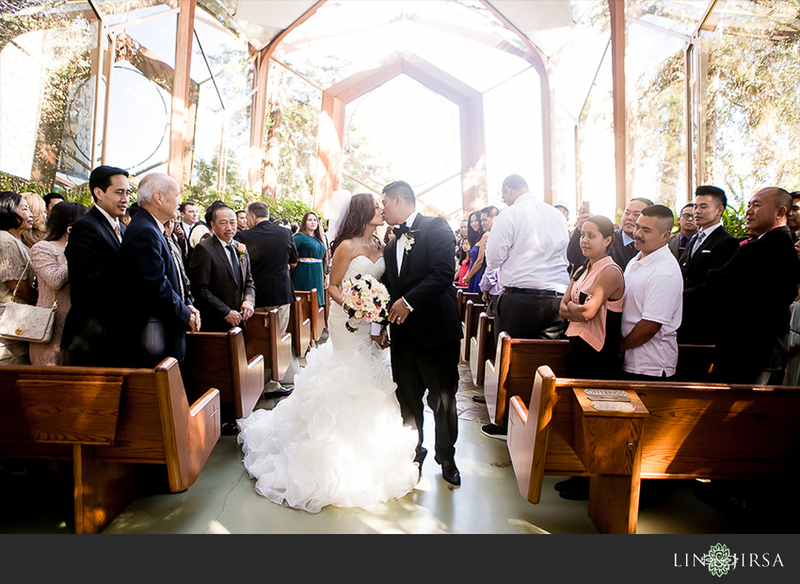 There’s no need for additional adornments or flower arrangements inside of the chapel as the decor itself has emphasized its surrounding natural environment. 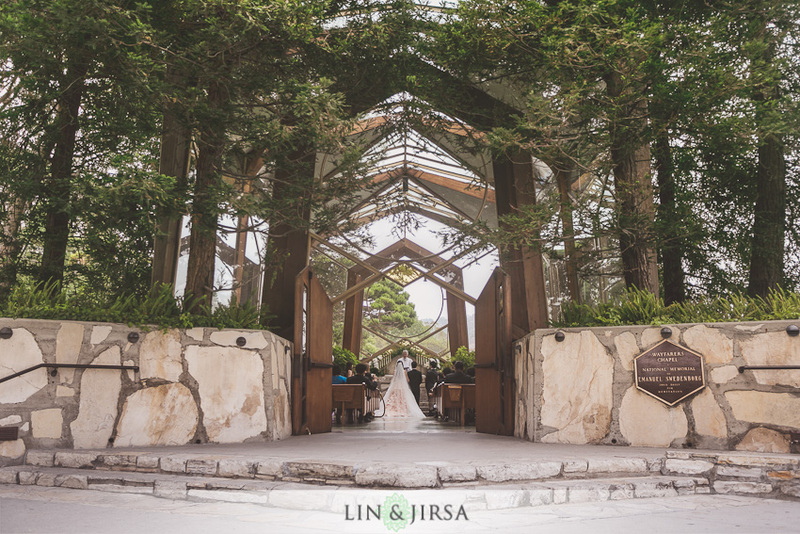 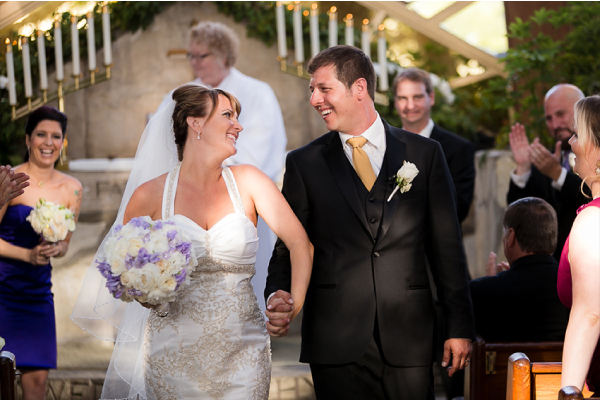 For evening weddings, the chapel is lit by candlelight for an even more ethereal feel and after each celebration, the carillon bells ring from the Hallelujah Tower, adding to the joyous celebration. 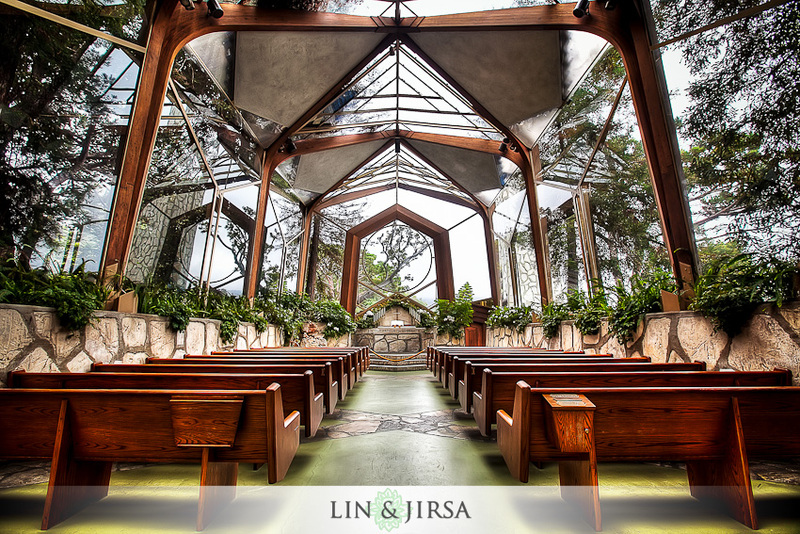 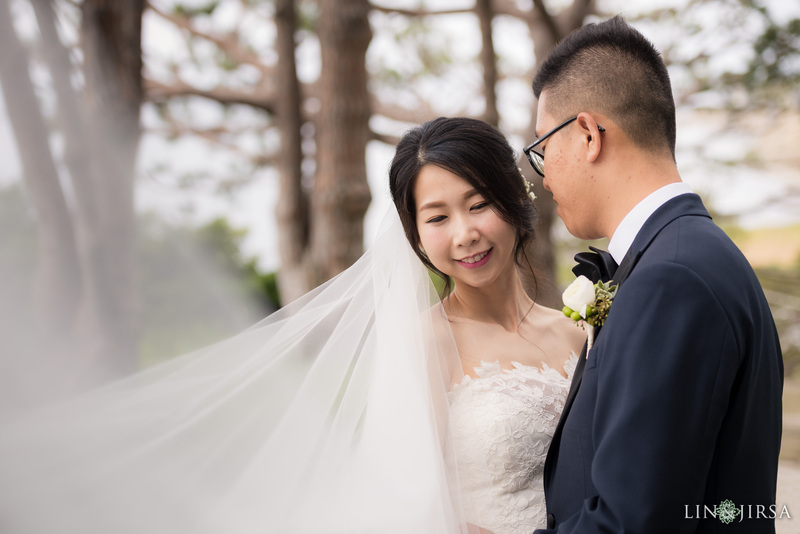 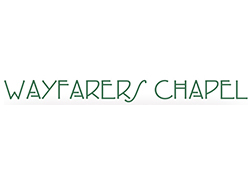 Designed as a respite for the wayfarer’s in the journey of life, the Wayfarer’s chapel’s stunning beauty is an ideal location for your dream wedding.